It’s hard to believe but another boating season is almost history. Many people want to use their Labor Day weekend as one last opportunity to get out on the water before the snow flies. 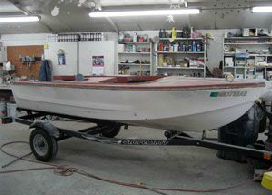 It’s also that time of year when we need to prepare our boats for winter storage. Now might be the time to make those boat repairs. 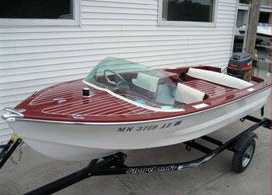 In Minnesota, for example, many boaters target Labor Day weekend as the right time to take their boat out of the water before the cold weather hits. We make the whole process easy. Just call to arrange your pickup or drop-off time. Let us know what you need and we take care of you and your boat. It couldn’t be easier! If you need boat repair, renovation or refurbishing and want to protect the value of your investment, Anchor Marine Repair has everything you need. Call us today! Our estimates and consultations are always FREE and we offer pick-up from your dock, home or marina within 250 miles of the Minneapolis/ St. Paul area. I hope you will keep safety in mind as you prepare for your last long trip out on the water this Labor Day weekend. Be extra safe and have extra fun.